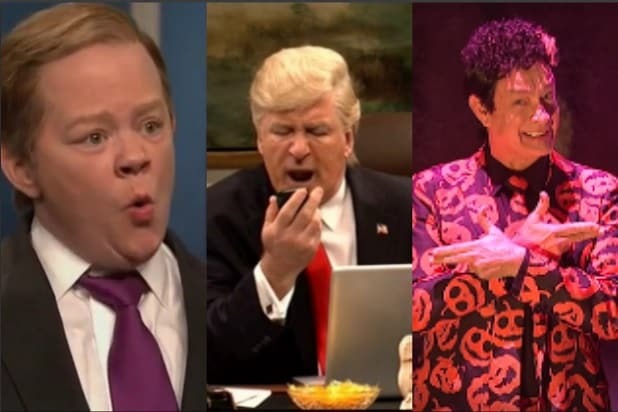 “SNL” came out swinging hard tonight with a succession of disses aimed squarely at Donald Trump. But the hardest punch of all was saved for last, with the first digital short of the evening (right after Kristen Stewart’s monologue) that blasted the Trump immigration ban with both barrels. The premise: what happens when an instructional video, played for international passengers as they arrive in U.S. airports, is heavily edited in light of the ban. As it turns out, the result is haphazardly Orwellian propaganda that barely conceals the racist intent of restricting immigration from several majority-Muslim. At which point Bennett interrupted with new restrictions from Trump’s travel ban, as well as his apparently tumultuous conversation with Australian Prime Minister Malcolm Turnbull. “Not including Iraq, Iran, Sudan or Yemen. And maybe Australia, we’ll see,” Bennett’s voice-over said. It might be the meanest (and satisfying) SNL has been in decades, but don’t take our word for it – watch it above now.